– worked as professor of biological chemistry at Cairo University till he was asked to work in Alexandria Faculty of Medicine. 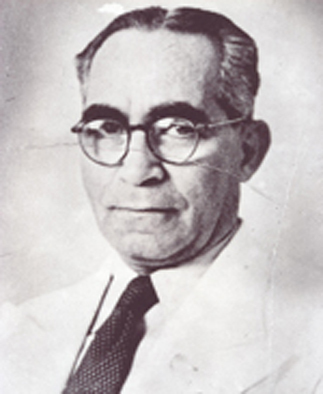 – Served as Dean of the College from his presence to the college in 30 August, 1945 for 3 years and then renewed for another term, but he was referred to the pension in January 9, 1950 and has moved after that to work as a nutrition consultant in the World Health Organization. – He set up four large strips 1, 2, 3 and 4 ,they were a suitable place for seminars and staff meetings. – Also he set up the second enclave of the college buildings; 4 floors high, it contains the departments of physiology, pathology and histology, which still exists to this day and operated by the physiology department only. -He Has been able to purchase the Anglo-Swiss Hospital (El Hadra Hospital).